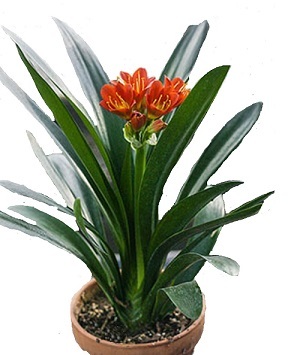 An evergreen plant with very showy orange flowers in summer. Natal Lilies come from the north eastern parts of South Africa and grow in large groups in shaded woody areas. They are tender to frost so can be grown outside the warmer parts of the Mediterranean, or as attractive houseplants in the UK. Plants have strappy green leaves, growing to a height of about 60cm. Natal Lilies grow best to full to part shade and well drained soil with added grit and leaf mold. They will grow beneath trees as they tolerate dry soil. As house plants, they grow best away from direct light and need a cool room in winter, around 10°C, in order to flower the following summer. Pack of 3 fleshy seeds. These are unconventional large fleshy seeds that do not store well and need to be sown on arrival. Plants take 3 to 4 years to flower from seed. Sowing instructions and a colour photo are printed on the packet. LIMITED AVAILABILITY FOR AUTUMN/WINTER 2018/9. 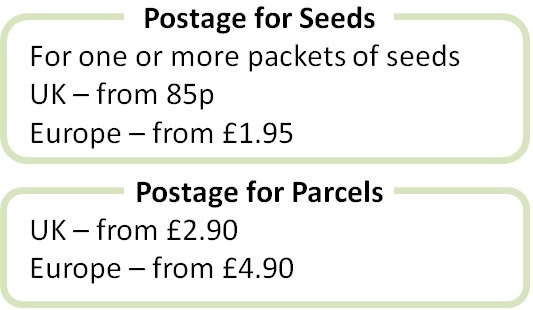 Sow these seeds on arrival, normally in autumn when they have just ripened on the plant. Sow the seeds on the surface of a tray of seed compost. Press the seeds into the compost to about half their size. Do not cover the top half of the seeds in compost. Moisten the compost and place a clear lid on the tray. Keep at room temperature and the seeds germinate in 2-4 weeks. Transplant the seedlings into small pots and grow on, repotting as needed. Keep house plants away from direct light, and keep on the cool side in winter. Do not overwater. Plants take a while to flower from seed, and may flower in lighter or darker shades of yellow to red, but are typically orange. Clear up plants after flowering as necessary. Mature plants can be divided in spring. See our blog on growing Natal Lilies.